When you’re preparing to buy a new home, one of the biggest things you’ll need to consider is which neighborhood you’d prefer to live in. Within the St. Louis metro area, you have plenty of choices. 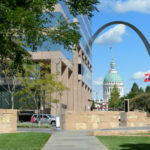 Many people choose to live in St. Louis City, and there are advantages and disadvantages of city living. So before you start searching for homes for sale in St. Louis City, it’s important to learn as much as you can to be sure it’s the right choice for you. The average price of St. Louis City real estate according to real estate company Zillow is about $113,000, which is slightly lower than the average home price in the surrounding St. Louis County suburbs ($171,000). St. Louis City also has a wide variety of neighborhoods within city limits, each with their own strengths and weaknesses. Some of the more popular neighborhoods include Soulard, Central West End, and Tower Grove South, to name a few. When searching for St. Louis City homes for sale, it’s important to find a real estate agent who is familiar with the particular neighborhood you’re interested in. Not all St. Louis City Realtors are equally experienced, and although most agents can buy a home in any area of St. Louis, that doesn’t mean that they know all about the particular neighborhoods. So be sure to find a Realtor who has experience buying and selling homes in St. Louis City. They will be familiar with the housing market in your preferred neighborhood, as well as home prices and other factors. Before buying a home in St. Louis City, you’ll have to do your research to decide which area of the city you’d like to live in, and you’ll also need to find a qualified Realtor who knows the area. Although it may be a lot of work, it will all pay off when you find the home of your dreams.